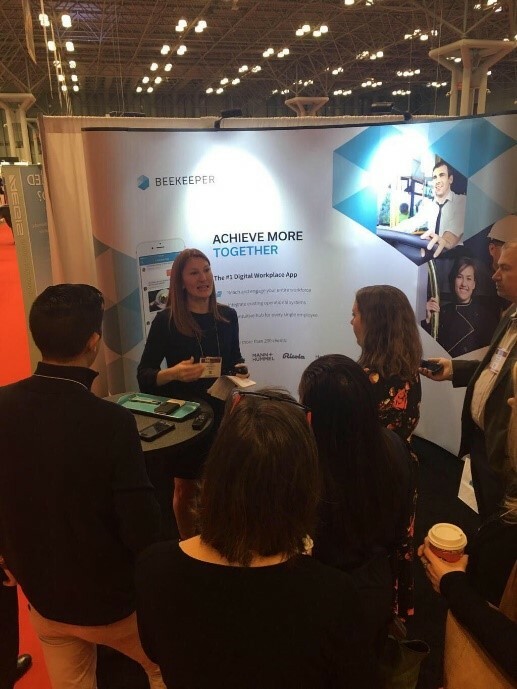 San Francisco, Nov. 6, 2018 — Beekeeper, the leading communication and operations platform for connecting a hotel’s non-desk workers across locations and departments, will be at HX: The Hotel Experience next month revealing the secret to guest and employee engagement. Named the Most Innovative Technology of 2018 by HTNG, the “People’s Choice 2018” by HFTP, and ranked No. 59 on the SaaS 1000, Beekeeper has discovered the Holy Grail of hospitality — a digital platform for delivering the ultimate guest experience by cultivating an undeniably empathetic employee experience. With 98% of human resources professionals and 92% of employees saying that empathetic employers drive retention, it’s imperative that hoteliers discover how to cultivate this desired culture. Beekeeper, which is currently being used in more than 137 countries worldwide, will be on display in Booth 2839 November 11 and 12 at the Jacob Javits Convention Center. “With unemployment at an all-time low, employee retention is top of mind,” said Connie Rheams, Beekeeper VP of Hospitality. “In fact, one of the first educational sessions at HX to be held on Sunday at 11:00 a.m. is titled ‘HR Actionables for Retaining Top Talent in the Modern Age.’ Here experts will discuss the current labor shortage and why retaining hotel employees is more important than ever before. While career-path planning, professional development techniques, and the movement toward non-traditional benefits are emerging strategies focusing on today’s millennial workforce, it’s important not to overlook the obvious benefits of digital operational communication technology. Another session titled “Hiring, Retaining and Creating Company Culture” will be held on Monday, November 12 at 4:00 p.m. on the HX: Onstage – F&B. This panel will discuss how a company's employment policies and culture can lead to success or failure, employee satisfaction and great customer experiences. To pre-schedule an appointment with Beekeeper at HX: The Hotel Experience, click here. Hoteliers wanting to attend the HX Expo Floor can register for a FREE EXPO Pass ($75 value) by clicking here.